Join us to celebrate the re-opening of St George’s Hall in Bradford with a show-stopping spectacular gala weekend of music and entertainment. 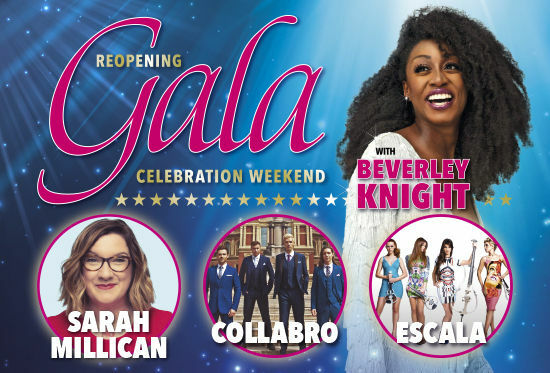 The extravaganza opens with A Night of Variety starring one of Britain’s greatest-ever soul singers Beverley Knight, top comedian Sarah Millican, Britain’s Got Talent winners Collabro, and Escala the ground-breaking electric string quartet. 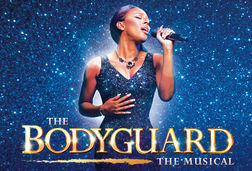 The multi-award-winning recording artist and musical theatre actress, Beverley Knight, celebrates an incredible 25 years as a major performing and recording artist this year. For this unique show, Beverley will be performing hits from throughout her career as well as some soul and R&B classics she has wowed audiences with over the years. There will also be entertainment from the amazingly talented comedian Sarah Millican, who Bradford audiences know well from her multiple sold-out appearances here over the years, Britain’s Got Talent winners Collabro, the most successful Musical Theatre recording group in the world, and Escala, the ground-breaking electric string quartet who arrange and record new material, constantly pushing the boundaries of contemporary repertoire.